Sometimes our life is dictated by the weather. And when it's hot you need something that can breathe, and help keep you feel cooler and drier. 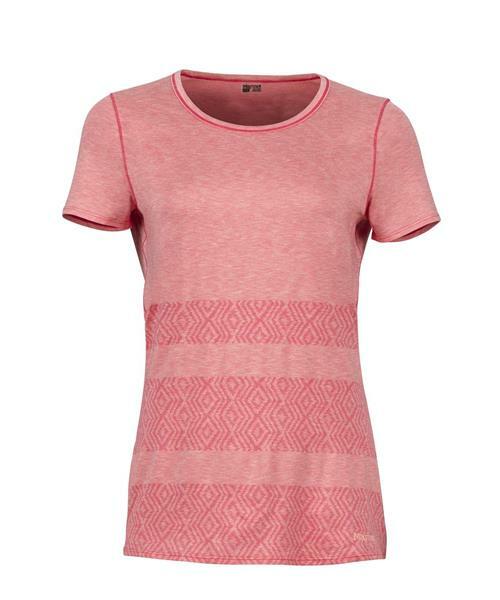 The Women's Cameron Short Sleeve is built with performance fabric whose weave construction works to wick and dry moisture; body-mapped mesh allows extra airflow. This crew neck shirt has a flat-locked seam construction and set-in sleeve for a more comfortable fit.